Arnold Rampersad is Woodrow Wilson Professor of Literature at Princeton University, where he is a member of the Department of English and the Program in African-American Studies. 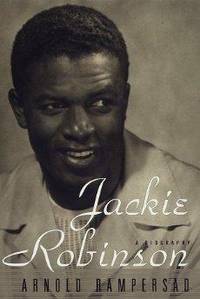 His books include the two-volume Life of Langston Hughes and, with the late Arthur Ashe, Days of Grace: A Memoir . In 1991, he was appointed a MacArthur Foundation fellow. He lives with his family in Princeton, New Jersey. From the Hardcover edition.